Explanation: Comet Holmes refuses to fade. The unusual comet that surprisingly brightened nearly a million-fold in late October continues to remain visible to the unaided eye from dark locations. Night to night, Comet 17P/Holmes is slowly gliding through the constellation Perseus, remaining visible to northern observers during much of the night right from sunset. Pictured above, Comet Holmes was captured from Hungary last week. The remarkable snowball continues to retain a huge coma, but now shows very little of a tail. To the far right is the open cluster of stars NGC 1245. 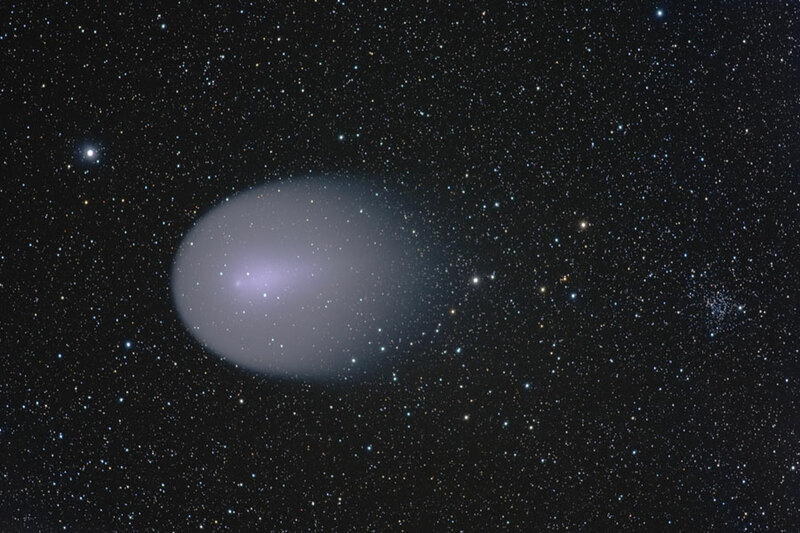 How much longer Comet Holmes will remain visible to the unaided eye is unknown.